Türk+Hillinger consistently continues to pursue its international expansion. Since the middle of the year, Türk+Hillinger founded Turk+Hillinger China Co., Ltd., an additional subsidiary in Nanjing. „The demands of our customers for a local presence, as well as the opportunities for expanding the Asian Markets, have prompted us to take this step. T+H Nanjing will be a sales location that meets the needs and desires of our existing customers for logistical optimization“, says T+H CEO, Michael Mann. „China is a growing market that we have thus far neglected. With a local presence, we will continue to accelerate our rapid growth. We are prime for the Chinese Market through highly rational and automated processes at our German location,“ continues Michael Mann. „The products are still produced in Germany. German quality and expansion of local jobs remain our corporate maxim.Turk+Hillinger China will be regularly present at upcoming local trade shows. 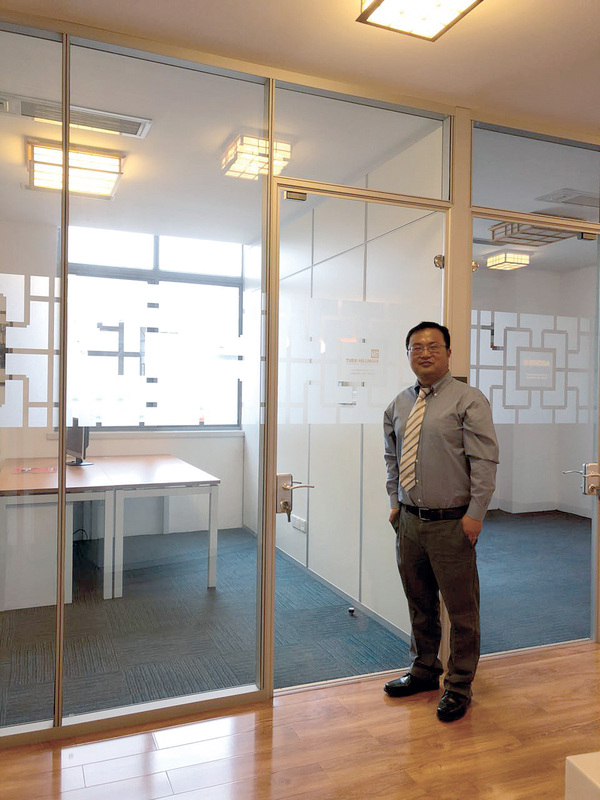 Lu Xin manages the company in Nanjing. The Türk+Hillinger Group, headquartered in Swabian Tuttlingen and its business subsidiaries in Saxony, Hungary and the USA, is a successful medium-sized company. With over 850 employees today, the company produces and supplies electrical heating elements, load and braking resistors, as well as thermocouples. "In 2017, we will again see double-digit growth for the fifth year in a row. We are very proud of our corporate development", says Managing Director Michael Mann. Mr. Mann, the son-in-law and the second generation of the founding family, Hillinger, now alone successfully leads the company. He emphasizes, that fortunately this dynamic 50 year old company, has not had to deal with disputes or disagreements with management or with shareholders. The company structure, has rigorously been trimmed to be highly effective and is the epitome of "lean" and cost-oriented, as a result of the graduate businessman. When Mr. Mann joined the company 20 years ago, it had well under 300 employees and was technologically stagnant . The number of administrative employees has only slightly increased since that time. "Over the last few years, we have reinvested a good deal of money and as a result of right strategic decisions, have reoriented the company and systematically developed it into a global market leader." To further expand its leading position, over the past two years more than 12 Million Euros have been invested in the expansion and optimization of state-of-the-art machinery. "With Türk+Hillinger engineered custom-made machines that are not available in the market place, the manufacturing and testing processes are further optimized. In the last 10 years alone, investments of around 40 Million Euros have been made." As a family-owned business, we think and act in the long term and are a strong and reliable partner for our customers for the long run", which is the corporate mission of the Hillinger Family. "Years ago, we were too focused on the home appliance sector and were constantly under enormous cost pressure." For T+H, the idea of mass production, line production and cost pressure was a daily business." The home appliance market has virtually collapsed over the last few years for us," says the graduate businessman. "In the industrial sector, our competitors forged ahead, while we missed many new devolpment opportunities." 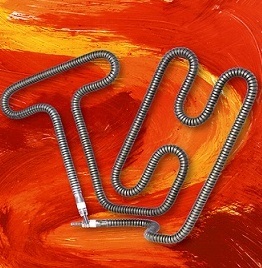 By realigning and consistently transforming its strategies, the company has again advanced to the top as a world class supplier of heating elements in the industrial sector. Today, T+H ranks as absolute number one in Germany and is a world leader in the plastics industry, supplying heating elements and thermocouples." In the automotive sector, the company is the world-market leader in highly compressed heater cartridges that operate in map-controlled thermostats. T+H is also a leader within components for heated catalytic converters, such as cartridge heaters for Adblue, respectively, for reducing emissions and particulate matter. T+H thermal technology is also evident in fuel preheating, supplementary heating or targeted heating of individual components in cars or buses, in addition to instantaneous water heaters for electric cars and high end heaters for fuel cell technology. The synergy effects of the broad T+H product range, the highly automated production processes and the innovative strength and speed have virtually overwhelmed the existing competition. With over 500 patent applications today, the company enhances its position as an experienced development and technology consultant within the electric heating industry. "Our market share and our growth are far from over. We continue to grow and remain independent." Together with today’s 90 year old company founder, Erich Hillinger, the Managing Director is convinced and looks forward to the next generation, who is also interested in the company's activities. The continuation of the company is in family hands and remains secure. PACK EXPO 2017– A HUGE SUCCESS FOR TURK+HILLINGER USA, INC.
T+H exhibited at PACK EXPO 2017, Las Vegas, Nevada from September 25 – 27, 2017. This first class event hosted over 2,000 exhibitors and a record-breaking 30,000 attendees, many of whom were high-level, decision-making executives. T+H received enthusiastic interest in our Seal Bar High-Performance Cartridge Heaters Type HLP, as well as the Tubular Heaters Type RHK on display. 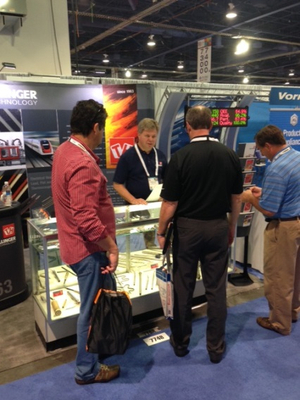 Attendees were impressed with the high quality and our extensive product line. We are currently working with new and current customers to meet their heating and packaging needs. PACK EXPO, sponsored by PMMI, is one of the largest and most comprehensive processing and packaging trade shows. PMMI, The Association for Packaging and Processing Technologies, represents more than 800 North American manufacturers and suppliers of equipment, components and materials, servicing the packaging and processing industry. The requirements in the areas of passenger cars and utility vehicles are constantly increasing. Planned diesel car driving bans and other uncertainties prevail over the topic of driving technology and emissions. The German and international automotive industry is researching intensively and is trying to decide which drive technology will be implemented from the year 2025 going forward. Not a single German manufacturer can give a significant prediction for the rising technology. Whether petrol- or diesel engines, electro- or hybrid and fuel cells are going to dominate the market is totally unclear. Every manufacturer has its own philosophy, but it is clear that there is going to be a radical shift in drive technology. The partly strong politically motivated triumphal procession of the electro mobility is not for sure and the automobile manufacturers are not currently seeing this occur. Türk+Hillinger has been a supplier to the automotive industry for over 25 years. In Europe, Asia and in the USA, millions of heating elements and electrical feedthroughs are used in map controlled thermostats and heated catalytic converters and reliably perform their functions. The current changes in R&D projects of the OEMs requires special competence and experience of suppliers. Türk+Hillinger is working in numerous projects acting as a development- and system partner and has a close communication with development departments of the automotive customer. Currently numerous development projects are in the pipeline for the reduction of pollutant emission, for fuel cell engine, exhaust after-treatment, diesel passenger cars retrofit packages and for new heating technologies in electric cars and vehicles. The synergic effects of the broad variety of T+H products, the highly automated production process, and the development competence as market- and innovative leader with over 500 patent applications, shows the position of the successful German company T+H. As an experienced development partner and technology consultant, T+H is a leader for inventions in electric heating, in this highly dynamic market. 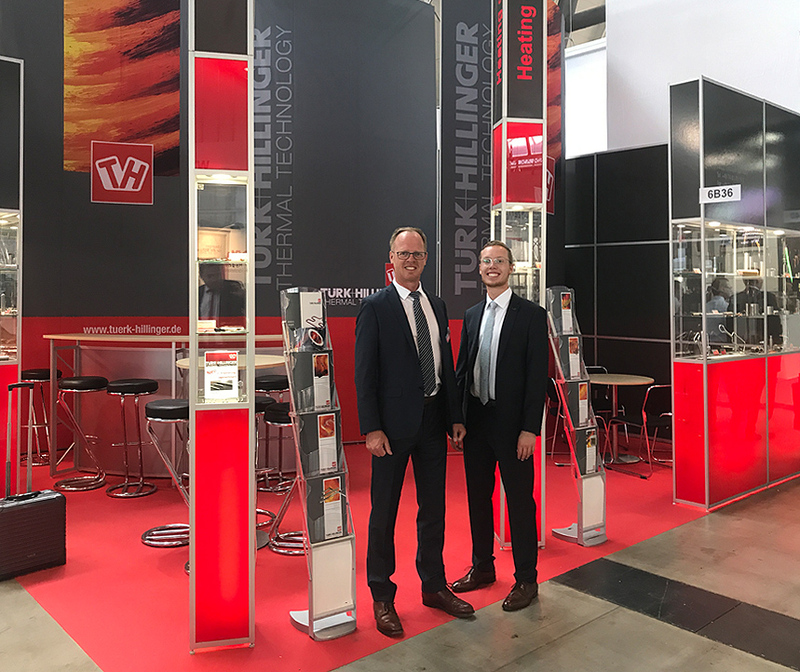 Türk+Hillinger one of the world´s leading manufacturer of electrical heating elements based in a high tech area in southern Germany, will be this year the first time in Guangzhou to present its wide range of products for the plastics industry. “Türk+Hillinger market and technology leader for heaters and temperature sensors in the plastic industry is proud to serve our products to a lot of renowned international customers. Be innovative, act global and produce local in a rational and cost effective way, with quality - made in Germany - is the aim our efforts to be international competitive”, so Michael Mann the CEO of T+H group. HPQ are nozzle heaters, which consists of a low mass tubular heater type RP. Typical for the HPQ, which is mainly uses in hotrunner systems, is the brass part on which a low mass tubular heater is coiled. HPQ heaters are available in different lengths and diameters with a small wall-thickness and a highly precise power distribution. HPQ heaters are deliverable with or without fixed or changeable thermocouple for an optimal control and regulation performance. RP is a bendable high performance tubular cartridge heater which offers a high watt density with low mass. The heaters are used where space is at a premium. They are available in different diameters and sections up from 1,2 mm with or without integrated thermocouple. Temperature Sensors are available in different executions and designs. Straight, in ring shape, as special manifold sensor or designed as high temperature execution. The sensors are grounded or ungrounded. Characteristic for the T+H temperature sensors are the quick response time, a unique moisture proof design and a robust construction. The sensors also have a miniaturized connection sleeve and a high temperature resistant connection. 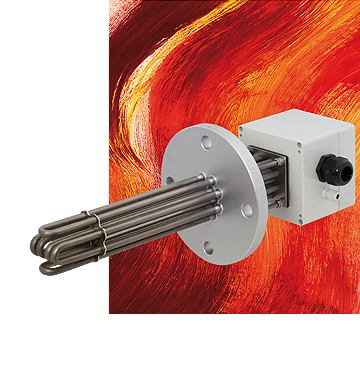 HLP – high performance cartridge heaters - are metal-sheathed heaters which have an extremely high surface loading and thus high power in a small area. They are available in numberless executions and are used in many applications in the plastic industry, i.e. nozzle heaters for extrusions dies, hot runner systems or hot stamping presses, welding bars or in closure machinery. The heaters are made upon customer request and T+H also offers a comfortable and growing stock type list. FLEX - the latest product in the range of T+H -is a 3-dimensional flexible bendable tubular heater which is mainly used from many customers in their hotrunner systems. The FLEX is a robust heater with excellent thermal properties, which can freely be bent by hand. It is available in numerous diameters and cross sections. For the users, the FLEX provides great advantages in warehousing. If necessary, the FLEX can be bent easy and quickly into the required form. 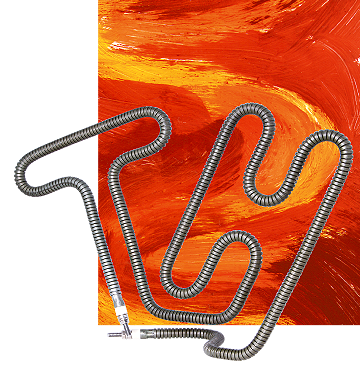 Due to a high automatization in the production the FLEX is on a lower price level than other flexible tubular heaters on the market. 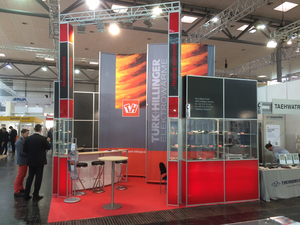 The German company Türk+Hillinger stands for innovation, high quality and precision with competitive prices. The products are made customer specific and also T+H has a growing program of stock type heaters. Visit T+H at their booth at the Chinaplas in Guangzhou at hall 5.1 and booth No J 15. 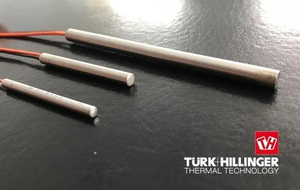 Türk+Hillinger, the world's leading supplier of electrical heating elements for industrial applications, has once again expanded its extensive inventory program. Newly added to this program are our small heater cartridges with the diameters of 3.1, 4 and 5 mm. All are outfitted with swaged-in, internally connected flexible teflon-insulated leads with a connection length of 1000 mm. The popular and very successful High-Performance Cartridge Heaters HLP are widely used in the market place. They have an extremely high surface load which is due to their special design and are therefore capable of accommodating more power in a very small space. The available lengths and diameters enables far more usage in a wide variety of applications. Further information on the Türk+Hillinger program can be obtained directly from the company. This year, the United States is partnering with Hannover Trade Show 2016. Over 1000 U.S. companies will be represented. “Integrated Industry – Discover Solutions” is the theme for this year’s trade show, which will take place from April 25th to April 29th. The focus will be on networking and digitization of the industry. US President Barack Obama is expected at the opening festivities on April 24th. 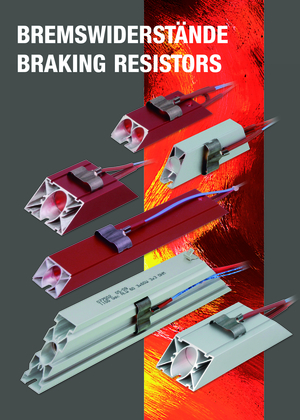 For many years, Türk+Hillinger has been able to supply its market with proven dyanmic braking resistors. We are now able to immediately provide to our customers, a new ALW design series with UL approval. The popular ALW series that is available with UL approval include: ALW40, ALW60, ALW70, ALW80x15, ALW80x20, ALW90 and ALW130. The T+H load resistors, with the new design, incorporate the special characteristics of higher capactiy, pulse strength and more durability, but also provides a one to one interchangeability with the old ALW series. Underwriters Laboratories (UL) is an independent organization that examines the products in terms of their security and certifies products for the North American market. UL has developed standards and procedures to test products, components, materials and systems to see, if they meet specific requirements. Once products comply with the UL prescribed standards, they can then display the-UL Mark. UL has developed more than 1,300 safety standards, many of which are American National Standards (ANSI). A typical standard for electrical goods includes not only the requirements for electrical safety, but also a wide range in terms of flammability and mechanical hazards. The T+H brake and load resistors are used in all applications where it is important to lower power peaks in electromechanical systems or where mechanical energy via the electromechanical coupling is converted into heat, i.e. in frequency converters or in the deceleration of electric drives. During braking of electronically controlled drives, power peaks occur in the conversion of kinetic energy, which can destroy the electronic components. With a load resistor type ALW these power peaks are capped, converted into heat and thus protect the electronic components against destruction. The 20th Anniversary Pack Expo, a show for the plastics and packaging industry, was held in Las Vegas, Nevada from September 28 through September 30, 2015. Prospective business clients from all over the world attended this show. Attendance at the show was again a record breaker and the show was an over-all success. 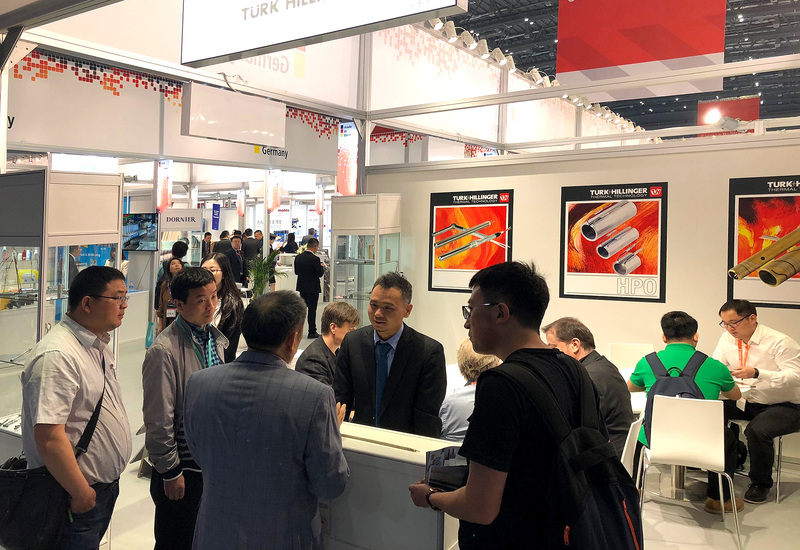 Turk+Hillinger experienced brisk and continuous activity at its booth with the majority of interest targeting our HLP High-Performance Cartridge Heaters products for the packaging industry. 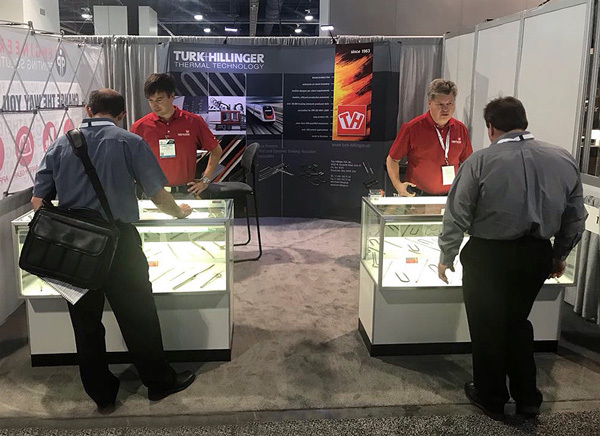 Customers were extremely impressed with the innovative and high-quality heating elements displayed and the over-all product line of Turk+Hillinger. Many new business connections were made, inquiries generated and orders have been placed as a result of the energetic activity at this show and at our booth and we expect more to follow. PACK EXPO 2017 – a huge success for Turk+Hillinger USA, Inc.